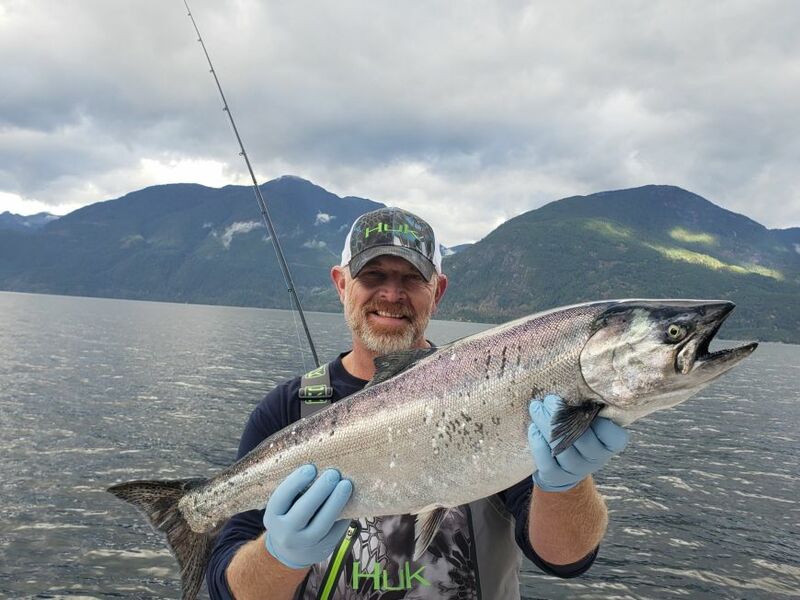 Well winter is right around the corner, and right on schedule the winter chinook or feeder chinook have shown up in local waters. We have put quite a few days in over the last month and we have been encouraged on what we have seen so far. The fish have been bigger than the last few years, the weather has been decent, and there is healthy amounts of bait around. Like most years in November, we have focused our efforts up in Howe Sound. 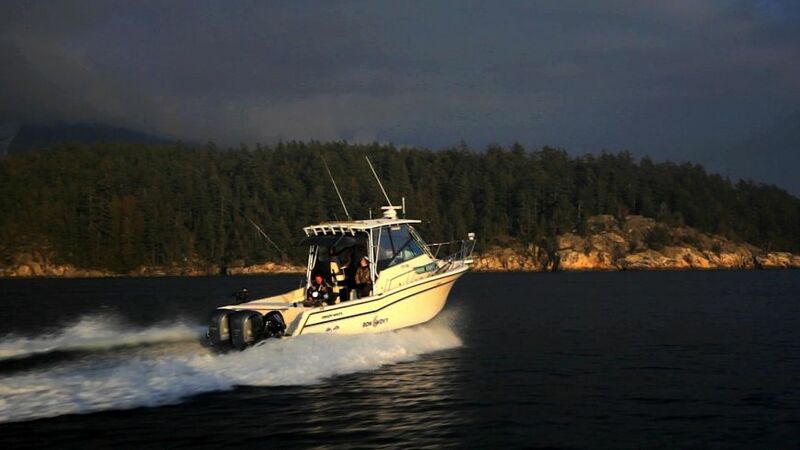 Depending on the day and boat traffic, we have focused our efforts around Bowen Island and up towards the Sunshine Coast. As per usual, the fish have been coming fairly deep in 100 to 200 feet of water. 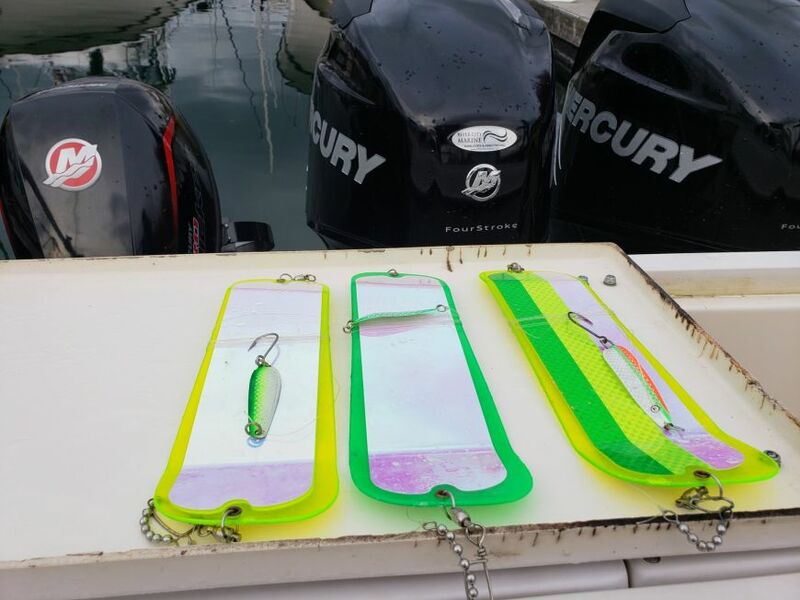 Look for bait and signs of fish on your sounder, and chances are you will have success. Some days we are hooking a handful of nice fish, and some days we are working hard to hook a good fish or two. We have had a number of fish in the "teens" so far this winter season, which has made for some exciting days. We have not made it over to the Gulf Island's yet, but there is likely fish there as well. We have ventured further up the Sunshine Coast and had some decent action up there as well. We have kept things pretty simple with our gear so far. We have primarily been running smaller Silver Horde and Gibbs G Force and Skinny G Spoons. Our most productive Silver Horde Spoons has been the Irish Cream and the Kitchen Sink in the 3 inch size. Same goes for the size with the G Force Spoons, the 3 inch Bon Chovy and Trailhead have been very productive. The Outfitter and Bon Chovy Skinny G's have also been productive, but the smaller spoons have been a bit better. 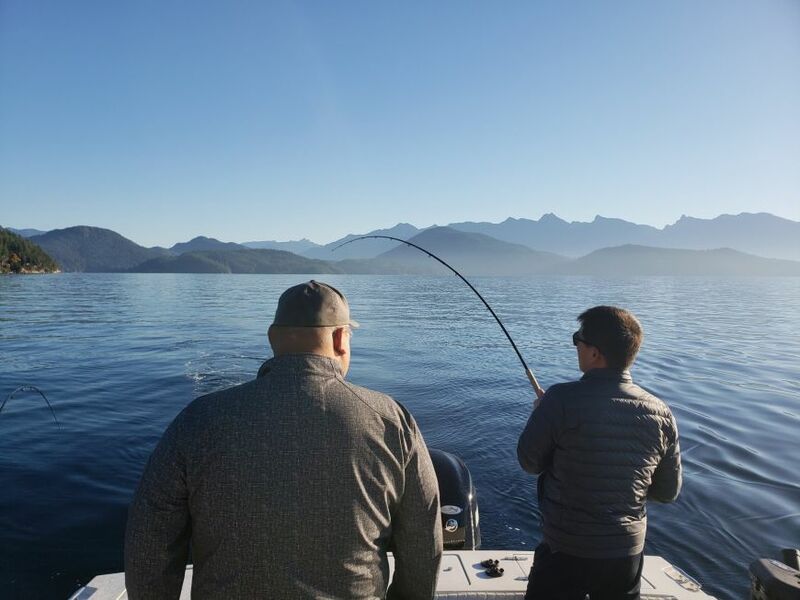 Prawning has been decent in Howe Sound on our full day trips, crabbing is yet to pick up in English Bay as the commercial fleet is still open. We expect crabbing to pick up around Christmas time. highlights from a couple years ago in the video below! 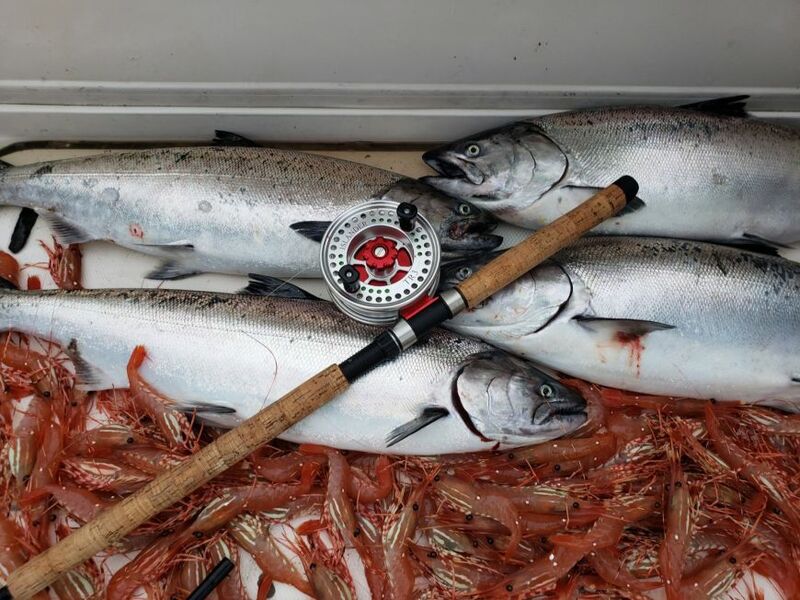 Please give us a call or send us an email to book a winter salmon fishing charter in Vancouver, BC!